For decades Americans have been told our schools are not up to par with those of many other countries. This perpetual narrative of our “broken” school system has led to annual waves of “fixes” working to create a more internationally competitive system. But what if these “fixes” are making our schools worse? In Beyond Measure, we set out to challenge the assumptions of our current education story. Rather than ask why our students fail to measure up, this film asks us all to reconsider the greater purpose of education. What if our education system valued personal growth over test scores? Put inquiry over mimicry? Encouraged passion over rankings? What if we decided that the purpose of school was not the transmission of facts or formulas, but the transformation of every student? And what if this paradigm-shift was driven from the ground up? By students, parents, and educators. By all of us? In Beyond Measure, we find a revolution brewing in public schools across the country. Schools that are breaking away from our outmoded, test-driven education culture and pioneering a new vision for our classrooms. These are schools that see critical thinking, communication, collaboration, and creativity as the bedrock of a good education. And they are dramatically improving outcomes for children of all backgrounds. Beyond Measure offers a positive picture of what’s innovative and possible in education when communities decide they are ready for change. Are you? Vicki Abeles is an award-winning filmmaker, author, speaker, and education advocate. As an attorney, businesswoman, disrupter, and boundary-crosser, Vicki brings her creative leadership and unbridled passion to her documentary film projects. Abeles co-directed the 2009 award-winning documentary, “Race to Nowhere,” vividly portraying the pressure-cooker culture plaguing America’s schools. Using a cutting-edge distribution model, the film has screened in more than 8,000 community-sponsored screenings in more than 40 countries, reaching an audience of millions around the globe. In her follow-up film, “Beyond Measure,” Vicki tells a fresh story. A revolution is brewing across the country and the change agents bringing innovation into our schools are educators, parents, and students. Her films have ignited a grassroots movement to restore student well-being, transform education, and redefine success for the next generation. Abeles authored the New York Times Bestseller Beyond Measure: Rescuing an Overscheduled, Overtested, Underestimated Generation. 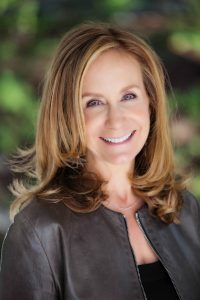 A leader on healthy childhood and education, Vicki has spoken at schools, conferences, festivals and companies including Google, Pixar, George Lucas’s Edutopia and Time Warner. She and her work have been featured in national publications including The New York Times, The Washington Post, USA Today, and The Atlantic. She has appeared on The Today Show, CNN, NPR, NBC, Dr. Phil, Oprah Radio, and the Katie Couric Show.